Choosing a professional to install insulation comes with a number of benefits. First, it allows you to get the job complete by experienced professionals that can advise on the right type of insulation to use in the right areas of your home. Second, it saves you time as you not need to learn how to do it yourself. Third, it is safer as professional know which types of things to look for when making an assessment and when installing it at your property. Fourth, you will save the most money in energy bills. When your home has insulation installed properly you are less likely to lose the air in your home based on leaks. Here is what to expect when having your installation installed by a professional. During the consultation, your professional will inspect your home. The technician will point out the most efficient method of install, and the best choice of material, grade, and style of insulation. They will give you a quote based on their recommended. The install is usually quick and easy. Each type of insulation is slightly different, depending on the size of your home, the areas that will have insulation an if you choose spray foam or blown-in or batt. As professionals, workers will come on time, work efficiently, and clean up after themselves when the job is complete. After the job is complete, a professional will walk you around the job site to make sure you are satisfied with the project. The professional will also be able to answer any additional questions that you may have while inspecting the completed project. Most professionals guarantee their work for a certain amount of time. Commonly this will be a minimum of one year, though it can be much more when it comes to long-lasting building materials that are made to survive a generation or more. Be certain to ask when you are interviewing clients about their guarantee policy and length of time. 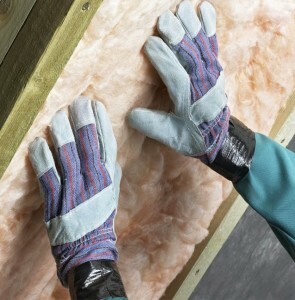 For more information on insulation, contact USI online to find a branch near you. USI believes that excellence in every step of the process and ensures timely completion and quality of service, time after time. ← Does Insulation differ in a cold climate vs. a warm one?